Nearly 25 million young boys and girls participate in youth sports in the United States. Sports teach young children about health and wellness, dedication, and teamwork; skills which will last a lifetime. Youth sports have many great benefits, but at the same time hidden dangers. Their young bones are still developing so proper safety equipment is a must. As the dentist Manteca families trust for their family dentistry and oral health needs, look to our team to help keep your children’s smiles safe. Encourage mouthguards for contact sports and protect their smiles. 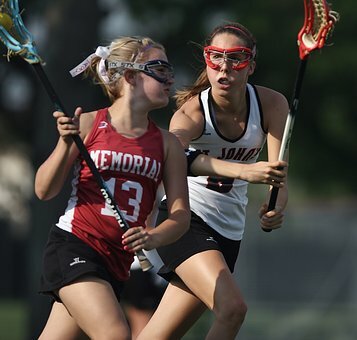 As your children gear up for their spring sports season this year, add a mouthguard to their safety equipment checklist. A mouthguard is an essential part of safety. They have been known to reduce the risk of a concussion and they also protect teeth. When a tooth gets knocked loose or damaged from an elbow to the face, the time to save the tooth is short. Our Manteca dentist has a small window in which we can save that tooth. A mouthguard, however, significantly reduces the risk of injury and ensures your child is protected. Which sports should use mouthguards? All sports, both individual and team, carry a risk for injury. When it comes to your child’s smile, contact sports carry the biggest risk. If your child participates in martial arts, baseball, softball, lacrosse, football, soccer, or basketball, require a mouthguard for their safety. If their activities are non-contact, a mouthguard is still helpful. Tennis, skateboarding, biking, and even track athletes find mouthguards useful, especially if they clench their teeth. Mouthguards reduce early wearing down of enamel from this action and also eliminate jaw pain. Mouthguards allow teeth to remain protected. They minimize the risk of losing a tooth too early, reduce the risk of concussion, keep teeth from getting cracked, and protect your child’s smile. Talk to our Manteca dentist about the right type of mouthguard for their needs. We’re happy to point you in the right direction or fit your child with a custom mouthguard. Visit us on Facebook to stay up to date with the latest in dental health. You are also welcome to make a consultation appointment or call us to learn more about how mouthguards can protect your children’s smiles.